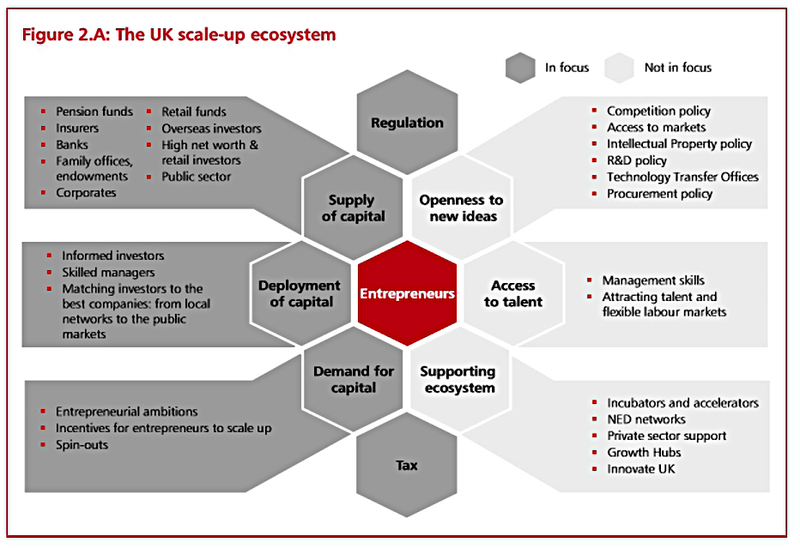 Today’s post is about a report from the government on Financing Growth in Innovative Firms – the Government wants to grow some more UK “unicorns”. 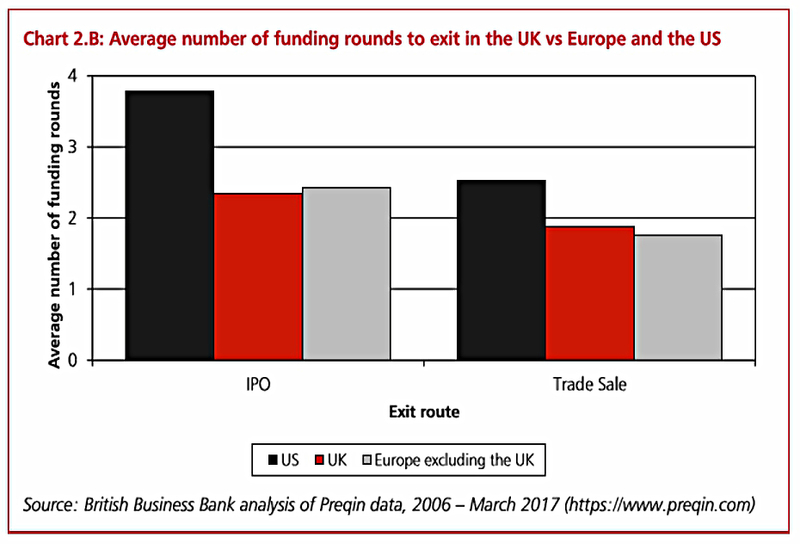 but it also kicks off a consultation with the wider industry on what should be done to close a perceived funding gap between US and UK firms. The government wants to grow its own unicorns (start-ups valued at more than $1 bn). While the UK leads Europe in the creation of Unicorns, it significantly lags behind the US which accounts for 54% of these £1 billion plus companies. China accounts for 23%, while just 4% are based in the UK. 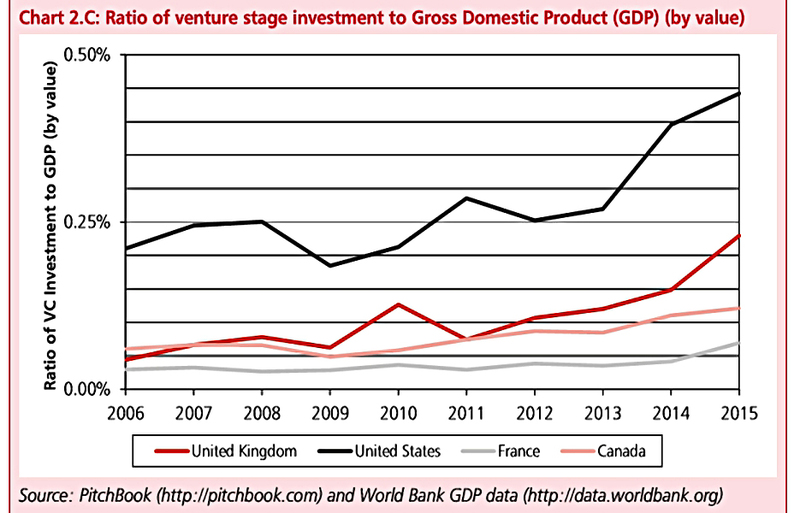 Less that 10% of UK firms reach their fourth round of investment, compared to nearly a quarter in the US. Around £4bn a year of extra money would be needed to raise UK funding to US levels. Top US firms are also in general younger than UK firms, again suggesting the US is more effective at growing new businesses into large scale firms. 10 of the UK’s largest 100 listed firms were created after 1975 compared to 19 in the US (but only 2 in Europe). Supports small firms to grow into large, world-leading businesses. 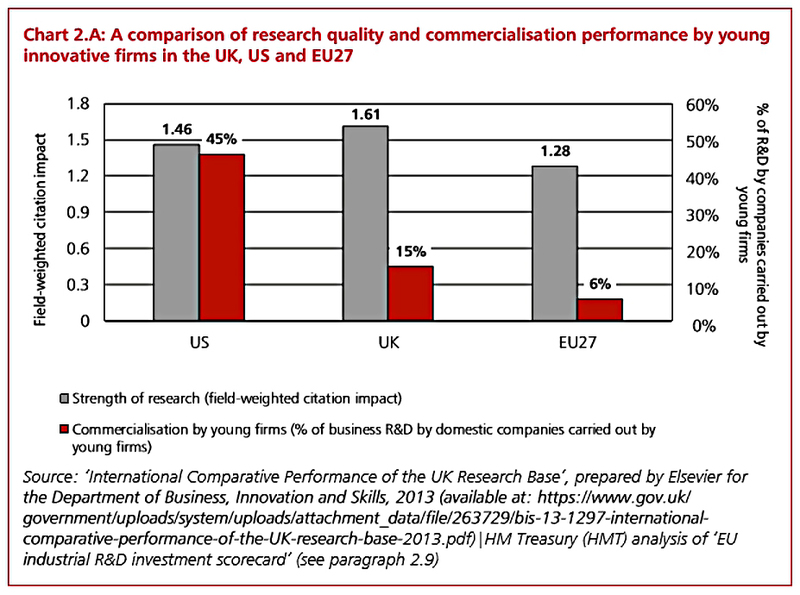 It is particularly important for younger firms that invest heavily in research and development (R&D). Long-term investment in innovative firms led by ambitious entrepreneurs who want to build large-scale businesses. 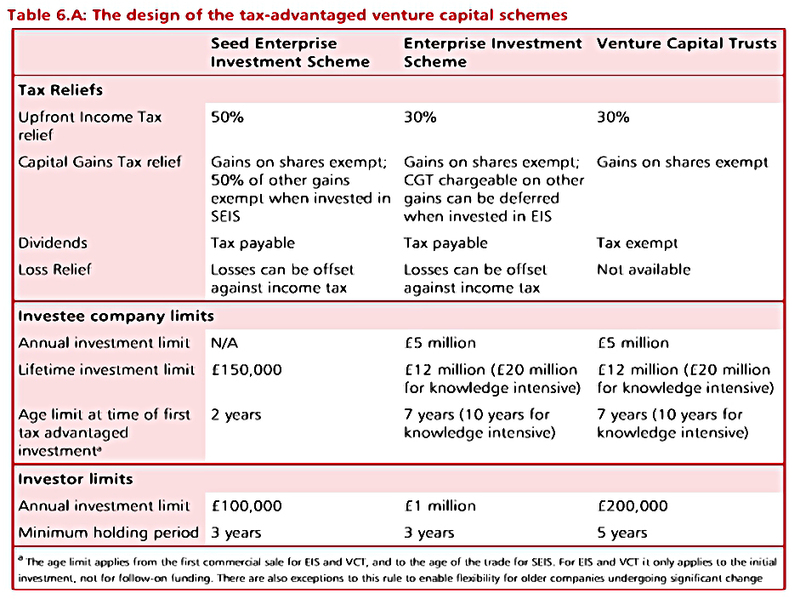 Current investment schemes which might include patient capital include VCTs, EISs and SEISs. 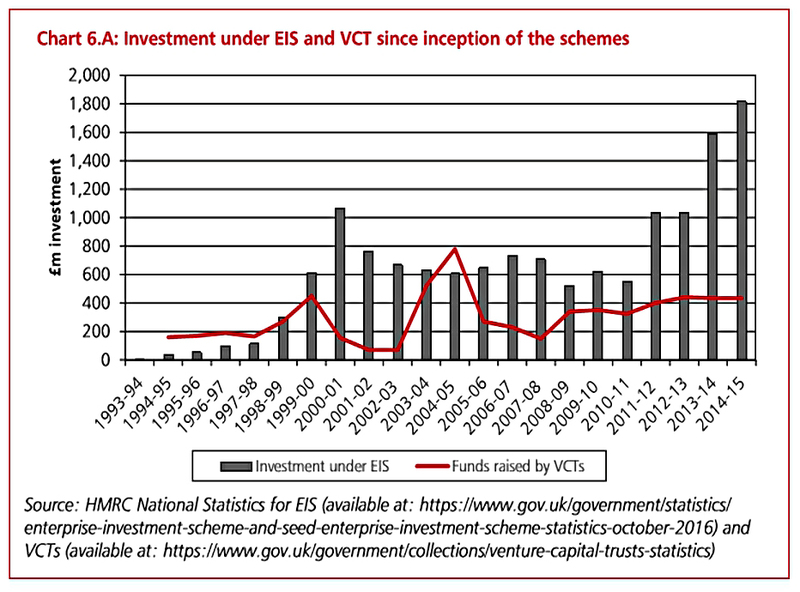 HMRC estimates the cost of these schemes (tax foregone as a percentage of the investment) at 36% for EIS, 44% for VCT and 56% for SEIS. Since the reliefs are 30%, 30% and 50% respectively, I’d be interested to know how they calculate those numbers. Where could the cost effectiveness of current tax reliefs could be improved? When it is more appropriate for government support to comprise investment, rather than tax relief? 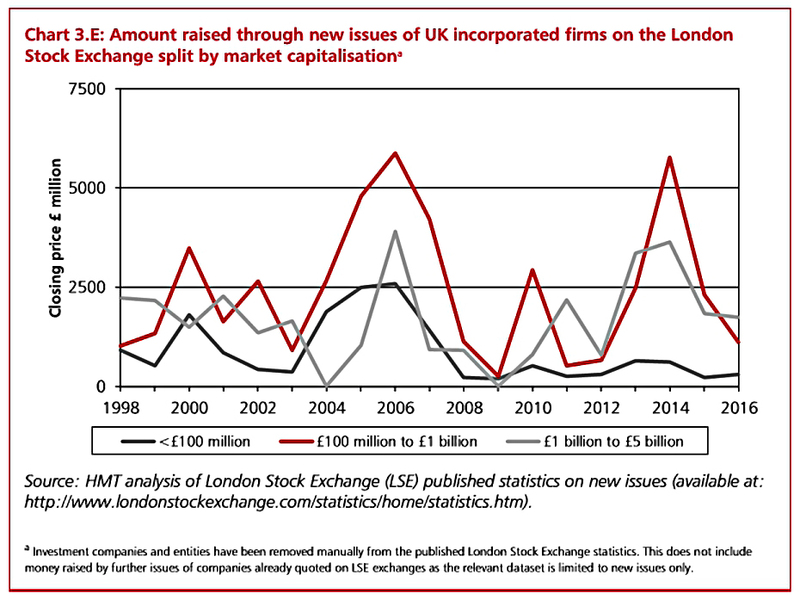 Does increased investment provide better value for money than tax relief? The consultation closes on 22 September 2017. Any new measures are likely to be announced in the Autumn Budget 2017. Britain is an innovation powerhouse and it’s vital that we make sure our cutting-edge firms have the funding they need to meet their potential and conquer new markets. Meeting this challenge will boost our productivity and enable us to create more well paid jobs across the UK. 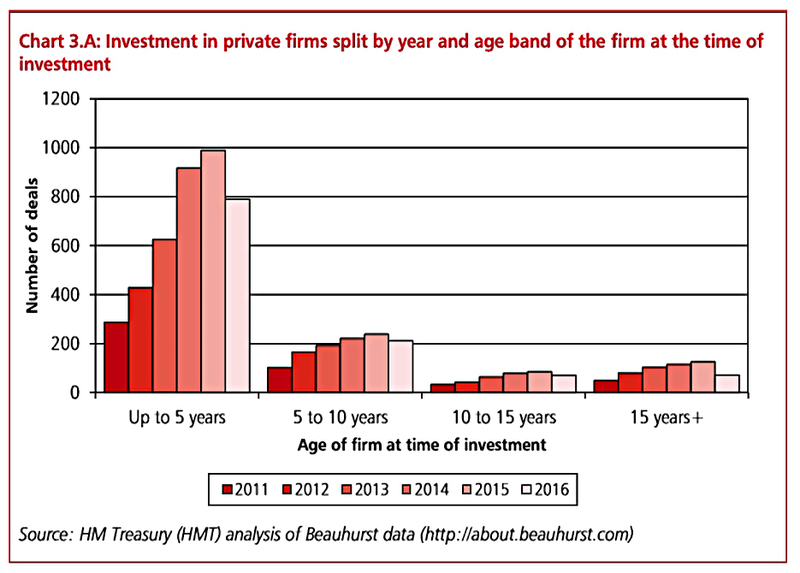 One main barrier holding back the continued development of young innovative firms, such as those commercialising research from our universities, continues to be access to long-term investment. This slows these firms’ growth, dampens their ambition and means that some firms are sold to trade buyers rather than growing to maturity in the UK. Overall levels of productivity are reduced as a result because some firms do not fulfil their economic potential. Productivity is important because improvements in productivity ultimately drive higher wages and living standards. After Brexit, it’s likely that the European Investment Fund will no longer supply capital to the UK, so something will be needed to fill that gap. The proposed National Investment Fund could be a public-private partnership or might live on the government’s balance sheet (as a new subsidiary of the British Business Bank), to be sold off once it has a decent track record. I’m not convinced about this fund, unless some public-spirited brains from the private sector can be persuaded to run it with the promise of a knighthood. Even then, I’d rather see the supplementation with public money of existing private-sector funds with good track records. Alternatively, it could be that, over time, a government fund with a good reputation might become a “cornerstone” (lead) investor in new offers, leading to a “crowding in” effect whereby these offers become oversubscribed. After Brexit, EU state aid restrictions on the way that VCT and EIS operate could be lifted, but there’s no mention of doing this in the paper. I think he actually wanted an ISA, which is a surprise to me. Put ITs (VCTs, private equity, Woodford’s own fund) into your stocks and shares ISA and you have a Patient Capital ISA. ISAs don’t have up-front incentives, so I’m not sure what Neil had in mind. I guess it would have been an extra annual allowance above the existing £20K. 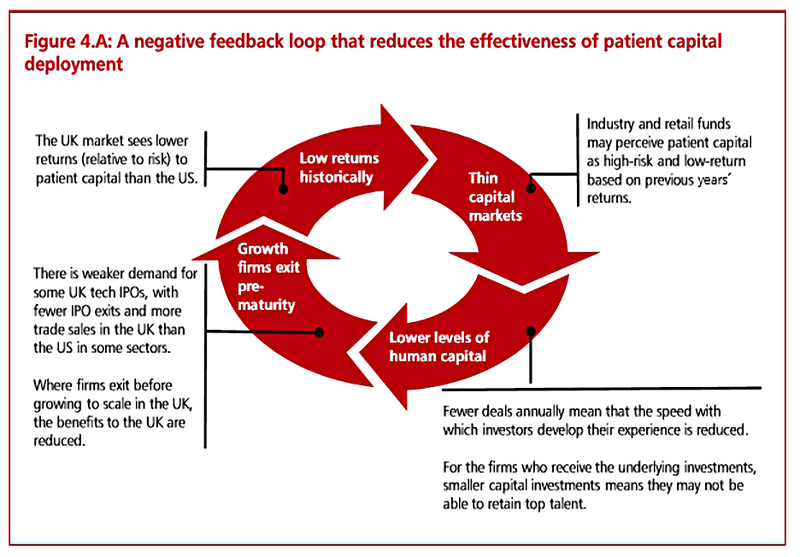 The government seems to have rejected this idea and will instead encourage more investment trusts to supply patient capital. The FCA is considering a programme to facilitate the creation of “all types of investment funds” including ones that provide patient capital, and in particular university investment funds. So instead of ending up with a tax break, Neil faces the prospect of more competition. I’m not Woodford’s biggest fan – or rather, I think that the cult of the star manager is over-egged in this country. But I am a big fan of investment trusts. I agree with most commentators that closed-end funds are better suited to patient capital than are OEICs. ITs’ stock market listings mean that long-term shareholders don’t subsidise short-term speculators who flee to cash. The share price or discount to net asset value will take the strain. With OEICs, the manager must find cash for redemptions by selling off assets, perhaps at not the best prices. But I worry that new ITs without Neil’s name recognition will struggle against the tax-advantaged VCTs and EISs. An extra ISA allowance would face similar problems, but it would at least be an extra tax-shelter on the way out (ie. under the TEE system). The big players in private equity (and VCTs / EISs) could have a go, but the point is that with the shrinkage of annual and lifetime income tax allowances on pension contributions, there is a pot of money each year waiting for tax-sheltered investments. If a new set of rules could be devised that allow for “better” investments than VCTs and EISs – on similar tax-terms – then surely that would be a good thing? Stamp duty exemption (both of which are enjoyed by AIM shares). This consultation is asking the right questions to inform what the government and industry must do to enable businesses to access the patient capital they need, at the scale they need, in order to grow. The UK has a serious systematic problem finding funding for innovative companies that need cash up-front. We are very good at finding money where companies are already profitable. This consultation is a genuine attempt by the government to fix the problem.Recognising that there is a problem is half the battle. Tax relief alone will not be sufficient. The UK has a strong scientific base, so grant money will be necessary to take new ideas from universities. With high net worth individuals lumped in with retail investors, a fuller understanding of the different risk profiles is needed. Investment trusts are suitable for long-term investments in innovative, unquoted companies because their structure allows investors to buy and sell their shares with no need to trade holdings in the underlying portfolio. This empowers fund managers to make investment decisions driven solely by the growth potential of businesses they choose to support. The high levels of transparency offered by investment companies enables efficient asset allocation and, alongside the daily trading provided by their stock market listing, this creates the basis for pension funds to increase their exposure to patient capital investments. The consultation is welcome, and well-timed given the potential impact from Brexit. But if the government wants to attract new money, it needs new incentives. More ITs investing in small firms will just divide the existing pot of cash between them. The success of the IHT exemption for AIM firms shows that this would be attractive if extended to Patient Capital ITs. Relaxation of VCT rules (at a minimum, to remedy EU state aid restrictions) would also work. As could an additional “patient-capital only” ISA allowance of say £10K pa.
Or an extension of the 30% relief beyond the current limit of the amount of tax already paid that year. Let’s hope we get at least one of these five options in the Autumn Statement. Today's post is a look at the UK section of Blackrock Pulse 2017, a global survey of investors.